With over 31 years of experience, Max Movers Inc. provides the full-service moving expertise needed to pack, deliver, and unload your belongings with the highest level of efficiency and care. Our full-time moving professionals take the time to listen to your needs, truly understand your expectations, and offer our expertise to ensure a successful, timely move. We pride ourselves on providing the best customer service through alleviating the stress and time consumption that comes with any move. Our full-time moving professionals will make sure that you are prepared for the “big day” while answering any questions that you may have. Our goal is to accurately estimate your costs, timeframe, and necessary services to effectively, quickly, and safely move your belongings to their new home or destination. Max Movers, Inc. is with you through the entire moving process, from the initial stages of packing, loading and delivering, to unpacking the final box. As one of the largest, privately held moving companies in Houston, Max Movers, Inc. has a 95% referral rate from having earned the respect and trust of our loyal customers. Our success in customer loyalty comes from our team of professional movers, all of whom are full-time employees trained to our standard of excellence. Additionally, Max Movers, Inc. owns and operates our own fleet of moving trucks to ensure reliable and timely delivery. We know and understand the large amount of preparation involved in moving your home or business. Max Movers, Inc. can assist with the comprehensive shifting of services such as transferring utilities, address changes, and the pre-packing and planning. Our team can help you with a range of services from moving common household articles, relocation of office items, sensitive documents, warehousing facilities, industrial goods, and relocation service. 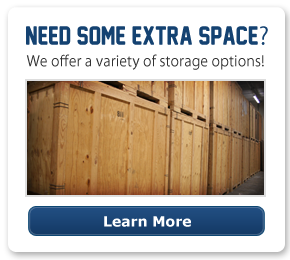 Max Movers, Inc. offers storage options for belongings not ready to be moved and interior design services for your furniture and space. Contact Max Movers, Inc. to get a quick estimate for your residential or commercial move.